SPOKANE, Wash. — Three former Central Intelligence Agency prisoners represented by the American Civil Liberties Union filed a lawsuit today against the two psychologists who designed and implemented the CIA’s torture program. The CIA-contracted psychologists, James Mitchell and John “Bruce” Jessen, helped convince the agency to adopt torture as official policy, making millions of dollars in the process. 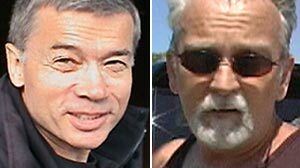 The two men, who had previously worked for the U.S. military, designed the torture methods and performed illegal human experimentation on CIA prisoners to test and refine the program. They personally took part in torture sessions and oversaw the program’s implementation for the CIA.